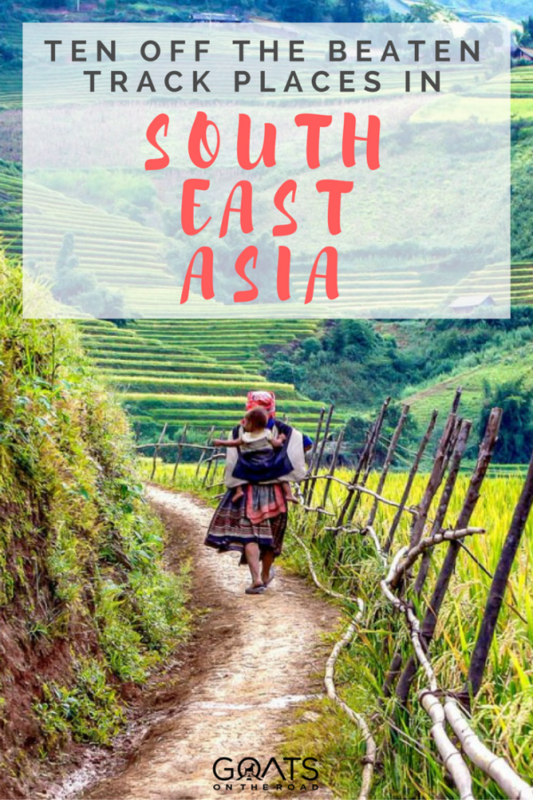 It’s not easy to find 10 places off the beaten path in Southeast Asia, because it’s just not an off the beaten path kind of destination! Southeast Asia is a tried and tested traveller’s mecca with thousands of tourists, but there’s so much more to the Southeast Asia destinations than beach bars and night clubs and if you really look, you can find some amazing, untouched paradises. 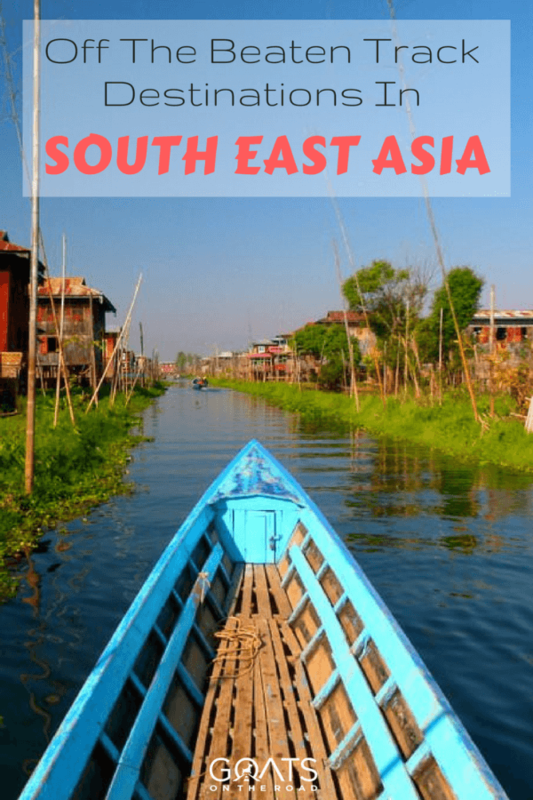 These are some of the best places to go in Southeast Asia, and although these off the beaten track destinations have become more popular over the years, they are still some of Southeast Asia’s most beautiful places, and are definitely less busy than most. We believe that no matter where in the world you are, and no matter how overrun with tourists it is, you can still find an off-track spot all to yourself. Because you’re heading off the beaten path, it’s important to make sure you are covered with travel insurance in case of an emergency. World Nomads is a popular choice for adventurers and backpackers. Enter your details below and get a free quote. This is hands down one of the nicest beaches in the world (based on what we’ve seen). 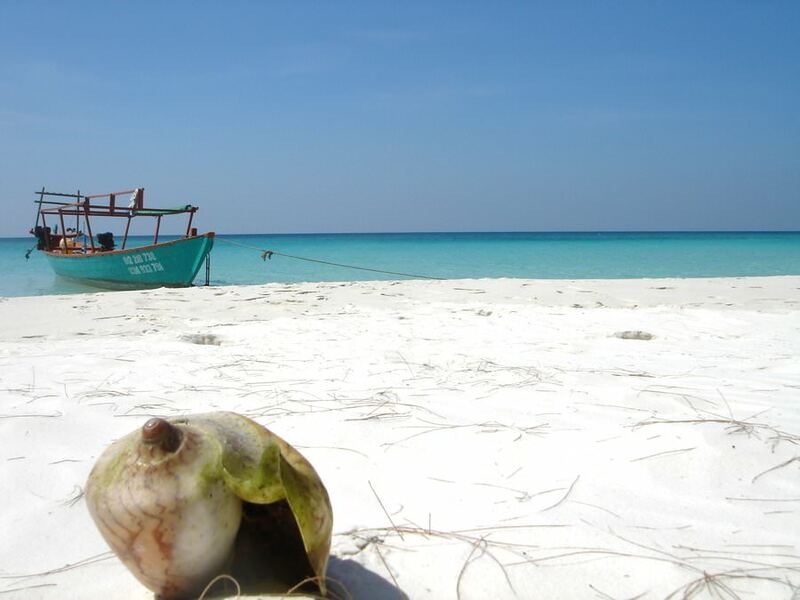 There are technically two Koh Rong Islands in Cambodia. One is a dive location for boats leaving Sihanoukville (Koh Sanloem) and one is lost out in the sea, left virtually untouched by tourism. When the longtail boat rounds the corner and you see the absolutely stunning stretch of powdery white sand, you can’t help but be amazed. The Sok San beach goes on for 8 km and dips into the alluring turquoise sea at the perfect swimming gradient. This is one of the best hidden spots in Cambodia! No one else on Koh Rong but us, the fisherman we hired, and this buffalo! We’ve seen beaches from Asia to Africa, the Mediterranean to the Caribbean and Koh Rong trumps them all. The stunning jungle backdrop, coral reef and the fact that you’re practically the only person there really just adds to its beauty. It is the best sight in Southeast Asia and is most definitely off the beaten path. UPDATE 2015: Guess what… times change! While Koh Rong still boasts one of the most beautiful beaches in the world, it is no longer the big secret that it was in 2008. There are, however, still beaches on the island that don’t have any accommodation on them. Find those beaches! 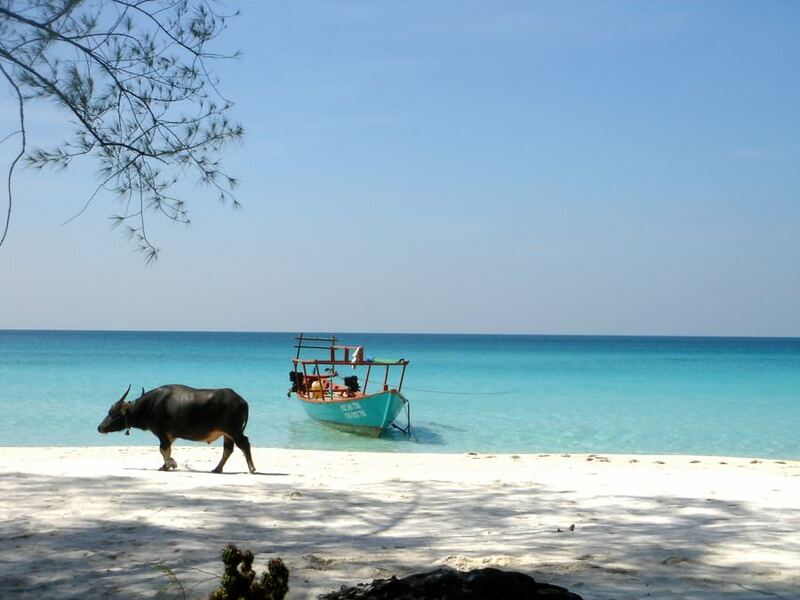 Koh Rong is still an amazing place to visit so get here before it’s too late. Koh Rong is a stunning island with contrasting accommodation – from funky beach huts and bungalows to villas and luxury hotels. Okay so Myanmar may not be the untouched paradise that it once was, but take a trek into the villages around Hsipaw and find some amazing Shan culture within easy reach. When you arrive, don’t be discouraged by the daily tours that leave Hsipaw with 8-10 people/group. Ignore them, ignore the guides and just walk out into the surrounding villages yourself. 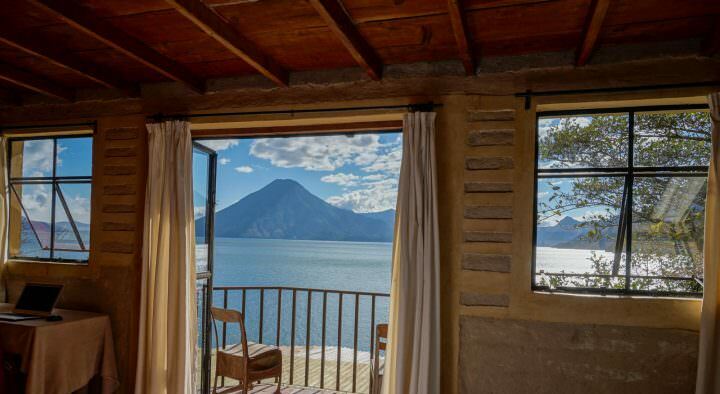 You’ll be rewarded with waterfalls, farmland, natural hot-springs and genuine local hospitality. You’ll likely have locals invite you in for meals and you can see their homes and the amazingly laid-back lifestyle in which they live. You may even be able to teach English, if you come across Hope and her incredible school in Naloy village. There are lots of hotels and guesthouses in Hsipaw. The best place to book them online is through Booking.com. I know it’s a huge region to list as “off the beaten path” but Sumatra island really is an untouched paradise. There are places where you will run into a bunch of backpackers but even in those places you can sneak off and find a place of your own. For the most part though, Sumatra is extremely non-touristed and it boasts some of the most amazing sights in the entire region. 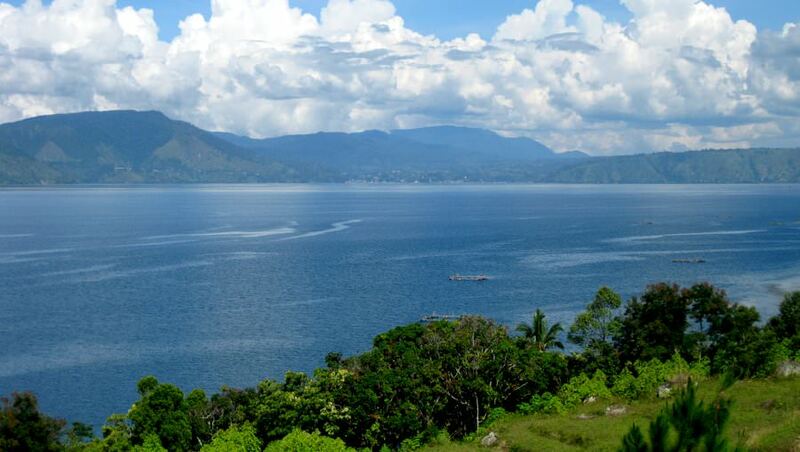 Lake Toba and Lake Meninjau offer crystal clear, fresh water smack dab in the middle of a volcano crater. If you stay here you will probably have an entire guesthouse to yourself (depending on which side of the lake you stay on). Definitely don’t miss Sumatra if you’re trying to avoid crowds, it’s one of the best places to be. A stark contrast to busy Bali. Note: The further east you go in Indonesia, the more untouched it becomes. Check out the incredible islands of Alor, Sulewesi, and Raja Ampat! Basically, outside of the main islands of Bali, Java, Lombok and Gilis, you will find hardly any other tourists. There are endless options when it comes to accommodation in Sumatra. From basic huts and bungalows, to beautiful hotels and resorts. How does nobody know about this hidden gem? Well some people do, the Malaysians and they keep it all to themselves. Don’t worry though, outside of holiday times you will probably be one of the only people on the island and the beach here is stunning! Stay with the Captain at The Captain’s Longhouse and meet one of the coolest characters you’ll ever come across on your travels. He’ll take you in, treat you like family and send you on your way with a smile on your face. If you’re wondering where to go in Southeast Asia, this is is. There’s nowhere quite like Kapas Island. Don’t confuse this with the tourist trap that they call Kuta in Bali. 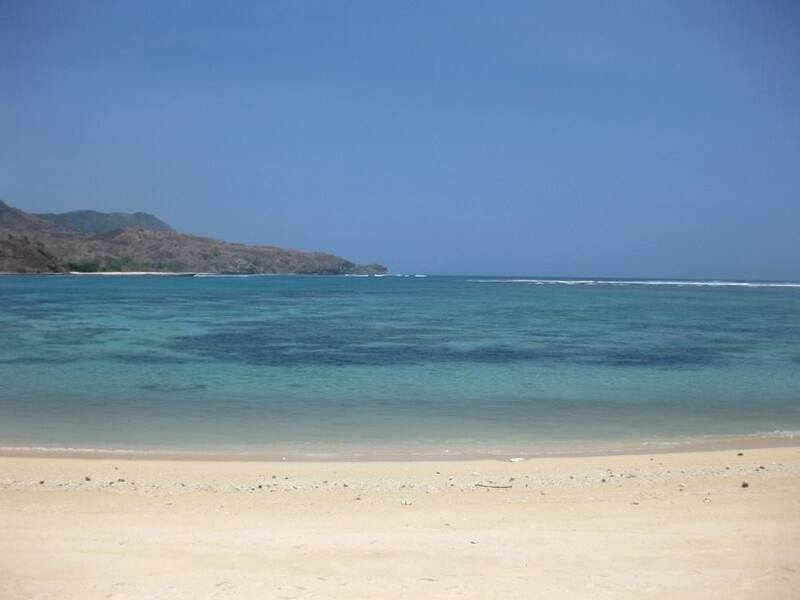 Kuta, Lombok is a whole different place that puts the Balinese version to shame. It’s a laid back surfing / fishing village with just enough to do to keep you entertained for a week or so…unless you surf, in which case you could probably just pack up and move here. Kuta beach and the actual town itself are not fully considered off the beaten path in Southeast Asia, but rent a motorbike and ride to one of the many secluded coves or distant villages surrounding Kuta and find a little piece of heaven and keep it all to yourself. There are numerous retreats, resorts, villas, homestays and hotels available in Kuta! Be warned, this is SO off the beaten path that you may get bored if you stay here longer than a few nights. 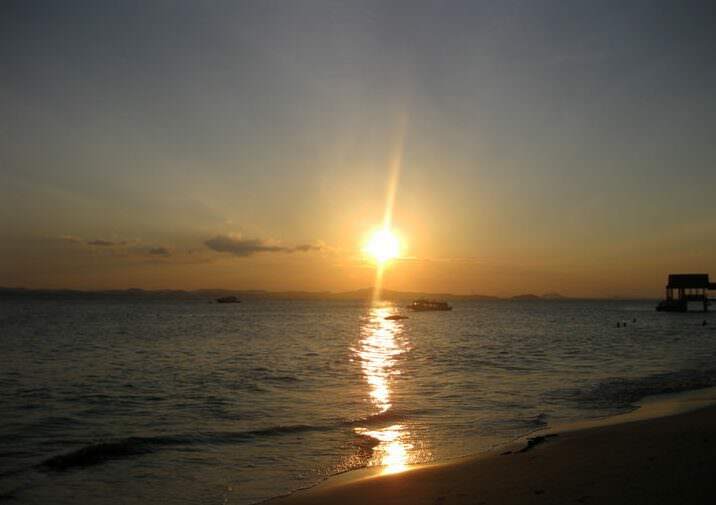 Koh Kood (Koh Kut) is absolutely breathtaking and in our opinion, it’s one of the best places in Southeast Asia. Its jungle-clad interior boasts stunning waterfalls and tourist-free monasteries where you’ll actually meet Thai people who are surprised to see a tourist. A treat you may never find anywhere else in Thailand. The beaches are powdery white perfection and the huts are actually very comfortable. There are no real roads on the island, although you can rent a motorbike (at exorbitant prices) and head inland to seek out some seldom visited sights. And we mean seldom. This place is deserted in the peak season especially away from its coast. What a place! If you’re down for some serious relaxation and privacy, Koh Kood is the place for you. UPDATE 2015: Good news and bad news… There are a couple of roads here now. Take what you want from that statement. Luckily Koh Kood is still relatively undeveloped. There are lots of places to stay on beautiful Koh Kood island. You’re probably wondering how one of the best places to backpack in Southeast Asia can be considered off the beaten path. Well, El Nido itself is clearly no longer off the beaten path, but some of the islands and villages around El Nido definitely are. Take your pick of one of the deserted 45 islands, pack your sleeping gear and some food and head out to see some of the best beaches in the Philippines! 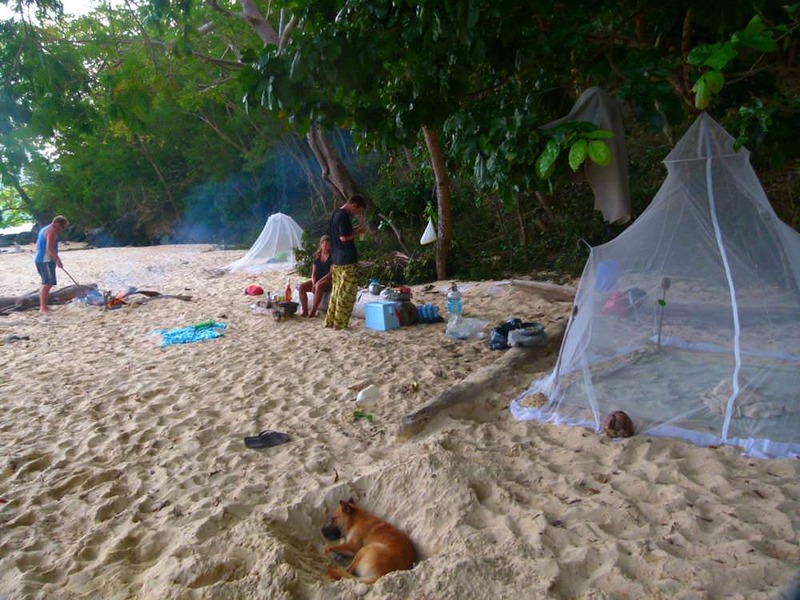 Camping on the islands will be a highlight of your trip to SE Asia. Talk to your hostel, fishermen or other travellers to figure out the logistics of it all. Just make sure you explain that you want to be far away from other tourists and you will find yourself on an island, alone, living out your Robinson Crusoe fantasies. 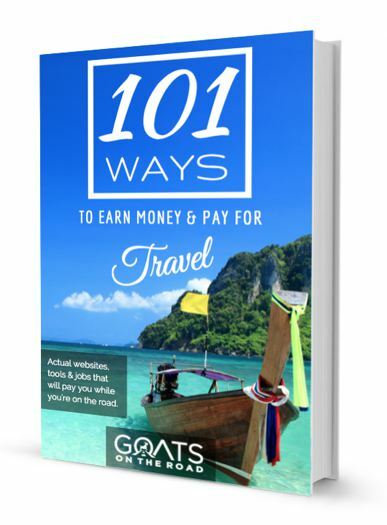 UPDATE 2015: Some readers have told us that El Nido is becoming more and more touristed and it’s getting harder to find boatmen to take you out on an intrepid solo journey, but fear not… where there’s a will there’s a way! El Nido has some amazing accommodations and offers great value for money. You’ll want to spend some time in El Nido before taking off on your island adventure, and luckily, El Nido is still a great place to spend some time. This stunning place is actually on the trail, but it’s on the trail that leads to the more popular neighbouring island of Don Det. In Southern Laos, in the 4 Thousand Islands region, Don Khong is a little piece of hidden calm inside a tsunami of tourists that force their way up from Thailand. When everybody else hops on the first boat out to get to the backpacker haven known as Don Det, you should consider staying behind. Rent a bike and head around this tiny island and see a piece of Laos culture that you won’t see again unless you head far North past Luang Prabang. Small villages with kind and inquisitive locals will greet you on your travels and you’ll be able to witness something few other travellers here do, the real Laos. 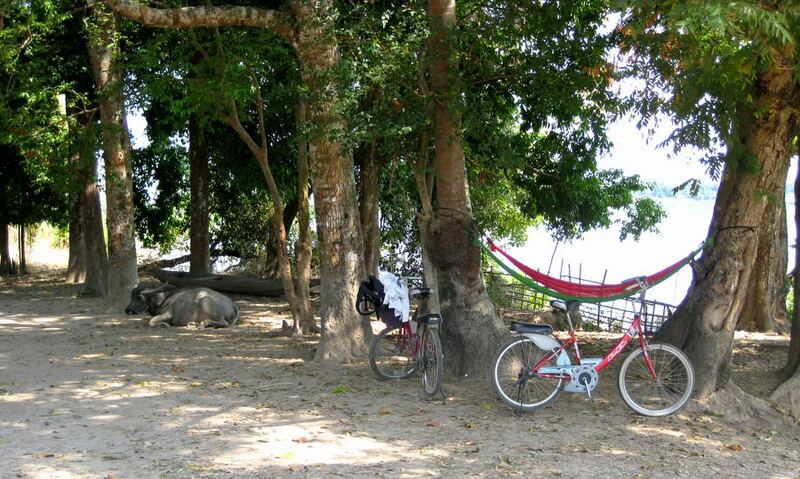 *Note, you’ll sleep in Muang Khong, but take the bridge over to Don Khong to cycle and explore. 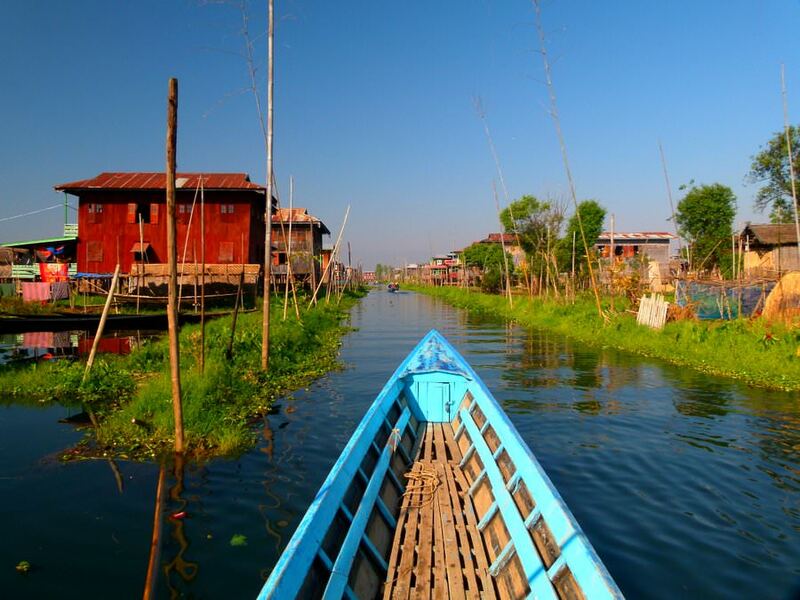 Inle Lake itself definitely shows up on the tourist radar, but most people stick to the boat tours that putter around the northern reaches of the lake. Find a boatman who is willing to take you as far south as you can go, the closer you get to the “Permit Zone” the fewer travellers you will see and the more authentic experiences you will have. It may cost you a few extra bucks to get down there, but it’s so worth it. The villages are untouched and the monasteries are empty and beautiful. Also, don’t forget to rent a bicycle and bike around the lake yourself; stop off at a winery, meet local fishermen and enjoy watching Myanmar go by. 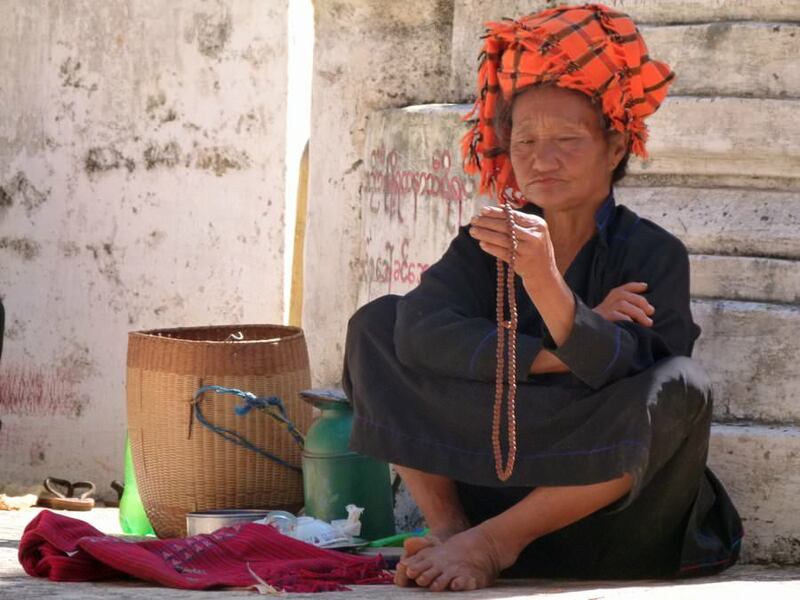 Most people who come to Inle Lake think it’s a tourist trap because they don’t take the time to find a place for themselves. The Southern part of the lake is a place not to be missed. There are lots of accommodation options around Inle Lake, with most properties being around the town of Nyaung Shwe. This Muslim island really is in the middle of nowhere. It’s on the way to the more popular islands of Komodo and Flores, but 99% of people who see Sumbawa, see it only from the window of a bus on their way to see the Komodo Dragons. If you’re not a surfer, there’s not a whole lot to do here, but there are some stunning beaches, hidden villages and amazing coral that’s yours alone to discover. If you’re looking for must see places in Southeast Asia that have hardly any tourists around, you’ll find them in Indonesia. That’s our list of off-the-beaten-path places! Make sure when you travel to Southeast Asia you make an effort to get away from the crowds, at least once. We guarantee that if you do, you won’t be disappointed. 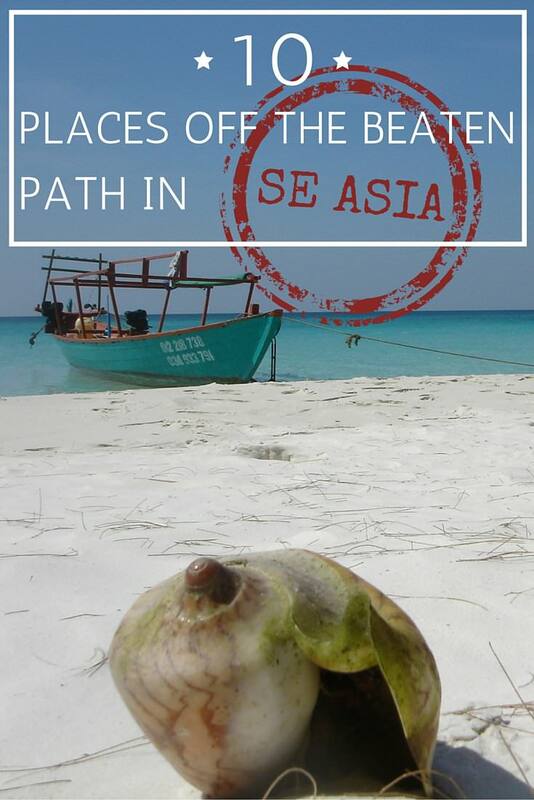 If you know of some off-the-beaten-path places in SE Asia, comment below and let us know about it! Travel secrets are meant to be shared. We use and recommend Hostel World for booking cheap and awesome hostels and guesthouses in SE Asia. They’re the “go-to” booking site for travellers, check them out here. Hello fellow backpackers! I am wondering about the situation in Ko Rong, and if you know if they have started development yet? I am not certain when this was posted. We plan to travel SE Asia in December for 5 weeks and love your suggestions! Thanks! 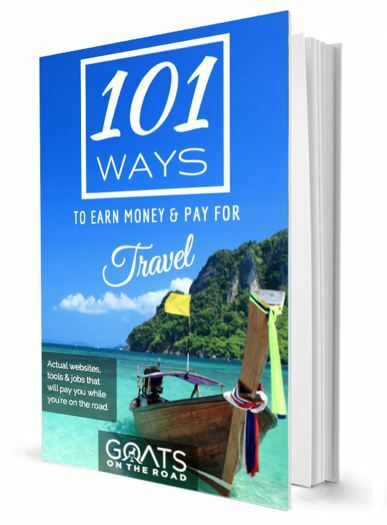 Hello Sun Seekers and welcome to Goats On The Road! The development thus far has not affected Ko Rong and we believe now is the PERFECT time. We were there in 2008 and were probably a little bit early. There was no electricity or restaurants and only one place to stay. Now you have a couple of options for accommodation but the exotic and rural feel still exists there today and will in December. Make sure you get to the famous 8 km stretch of sand on the south western coast. You’ll never see whiter sand! Enjoy and let us know how it goes! Hello Sun Seekers! Ko Rong is changing quickly but we think that now is the perfect time! When we went there in 2008 there was nothing there at all, but now it may be the perfect balance between off and on the beaten path. You will still feel like you’ve found somewhere exotic. December will be a great time to see it, send us some pics when you go… we’d love to see it again! Yes it would definitely be hard to keep Burma all to yourself nowadays. With the progress in government and economy comes a burst in tourism and Bagan is packed with tour buses during peak season. Still an amazing place though and aside from the main attractions it’s not too touristy. You’re memories from 09 are priceless but Burma is still an incredible place and will be for a long time to come! best list of its kind that i’ve found so far. thanks so much for helping me plan my 6 week honeymoon to southeast asia this fall! i’ve added at least 5 of these items to my wish list! My husband and I are wanting to take our kids away for about 3 weeks over Xmas. We are not the type of family that like to hit the tourist hotspots and want to just relax and let the kids play and run free like they should. After looking at your site I must say my breath was taken away by Koh Rong! Would you say that this place is ok to go and relax and swim and hang out with a few kids or not really appropriate? 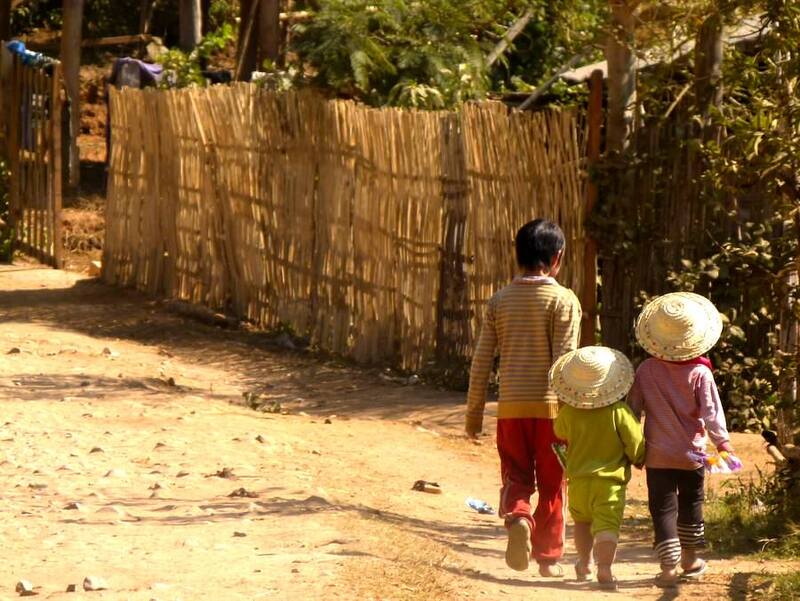 A few people have advised they don’t think Cambodia is a place for kids???? Keeping in mind ‘these’ people are not the adventurous type. Would love your opinion on Kho Rong??? Or, even better somewhere off the beaten track where we can also have a surf. I think if you take the proper precautions, then anywhere in this world could be suited for kids. They would be fine in Cambodia, we saw plenty of families there. Koh Rong is fantastic. We were there in 2008 and things have changed quite a bit since then…there are more amenities now, which can be a good thing. It’s my understanding that there are quite a few bungalows there now, things are more lively, some restaurants, beach volleyball, etc. So that could be good! The Philippines also has some amazing spots that would be child friendly and there is definitely surfing there. Also, there are many places in Indonesia that are off the beaten path and have surfing available as well. Lombok would be a good bet for that. We loved our time in Cambodia at Koh Rong, but that was in 2008 (I hear good things about it, but haven’t been there recently). 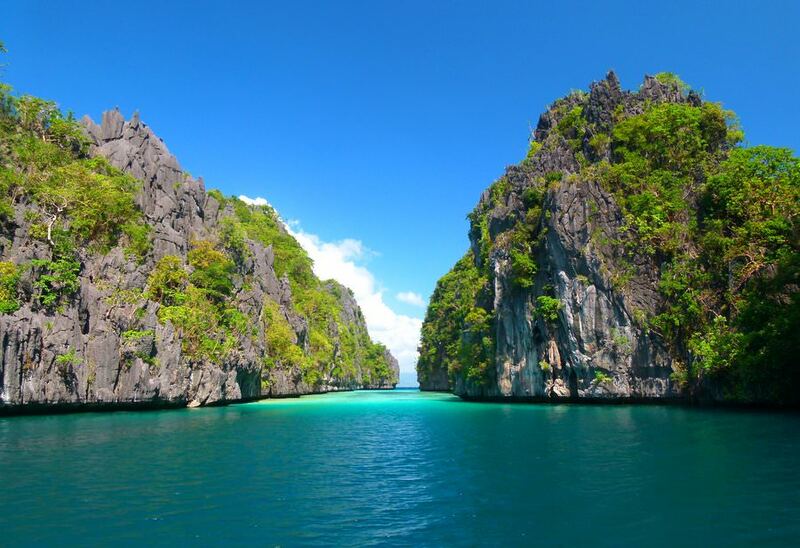 We were just in the Philippines last year and had a great time at El Nido – snorkelling, diving, island hopping, etc. 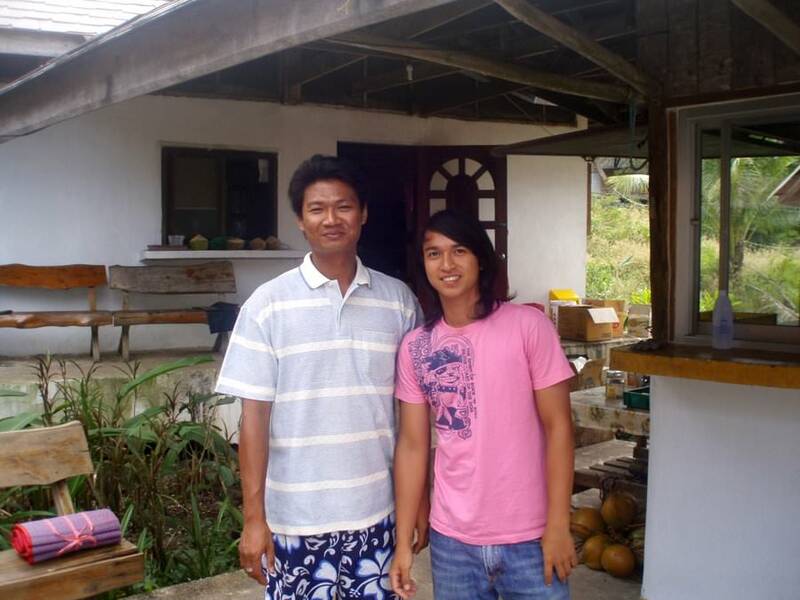 and we were in Indonesia in 2009 and went to many islands there. All 3 are great! I hope this helps. Have an awesome time. Let us know if you have anymore questions. Hi, I love the look of the island Koh Kud and would love to go there when I next go travelling. I’ve looked it up online but all I can find are expensive hotels, does the place where you stay have a website or contact info? The picture looks like the perfect place to stay! Anyways, for the life of me, I can’t remember the name of the bungalows we stayed at! However, here is a list of many (if not all) of the bungalows on Koh Kud (Koh Kut). I hope you can find a great bungalow here! Enjoy your stay. PAI! This small bohemian city 3 hours from chiang mai in the rolling hills of northern Thailand was unbelievable , we are traveling to ko rong in 5 day and seriously looking forward to that as well. We’re sorry you feel that way Joel. The article is about finding a little slice of paradise for yourself (and a few others) away from the crowds. There’s nothing wrong with having other travellers around, but sometimes it’s nice to find a place of your own, you know? 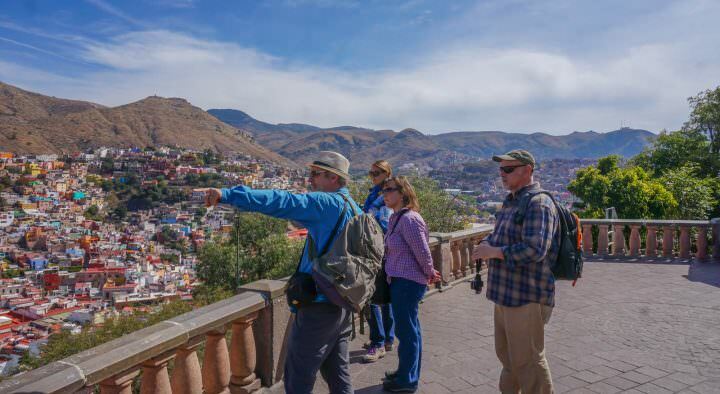 It seems strange that you would click on this article if you aren’t interested in finding places off the beaten path. And it’s Robinson Crusoe, not “Robertson” Crusoe. dont you think thats smug, joel? I would love to go to Koh Rong this Dec for 4 days only. However it seems that it is quite the journey to go there: 4/5 hours bus from Phnom Penh plus 2h boat. Am I correct? No plane goes closer that PP it seems…Any shorter way? You’re right, flying to PP is the closest. We took a boat out of the town of Sihanoukville, you could spend the night there before taking a boat over if you wanted to break up the journey. Thanks for the suggestion about the beach in the Phils! We had never heard of it. I was also going to recommend the Caramoan Islands. They were incredible when I was there 5 years ago. I heard the built a permanent road to them but it is still a long trip. Thanks for the travel suggestions – more places to add to my bucketlist! Do you guys remember the name of the beach you visited on Koh Rong? Also was the island Koh Rong Sanloem (the one just south of the other Koh Rong island)? No, it´s not Koh Rong Sanloem. It´s the bigger one that is less developed. We stayed on the beach that was very long, 4kms or so. It´s more built up now, and I´m not sure the actual name of the beach! Sorry! Sharing you as well remote beaches in the Philippines. To those who dare, you will surely be rewarded!!! Thank you for sharing your passion. What you do is really helpful to those seeking for adventure. could you tell me where you went/ recommendations for sumbawa? Wow! That’s some great information 🙂 Thank you for sharing. We love Indonesia and when we go back, we will check these out. Thanks for sharing this secret gem with us Justine 🙂 You’re right, it’s hard to find off-track places in Thailand! Awesome list of places . Yeah these places are traveled very less in Asia and hence the beauty of these places remained intact. I have been to Koh Rong and its surely an awesome island. Here is the list of few more places which you can head to – DO CHECK ! These are all AMAZING places to visit. They are all wonderful !! However, there are many other destinations in case you are reading this in 2017. For example, Borneo Island is an incredible piece of land. I would say it is a paradise on earth, but all destinations I am going to list are going to be that. So, Uhmm, it is a paradise on earth! Phu Quoc, Vietnam is actually a UNESCO World Biographic Reserve. That is enough description to assume that it is an awesome place to visit. Once again, Paradise On Earth! The Philippines as whole is a great island destination. In fact, 3 of its islands are usually on the top 10 voted best islands in the world every year. Palawan is #1 now, by the way! Thanks guys for this article! It’s great! Our province (Palawan, Philippines) has a lot of secrets which are yet to be revealed. 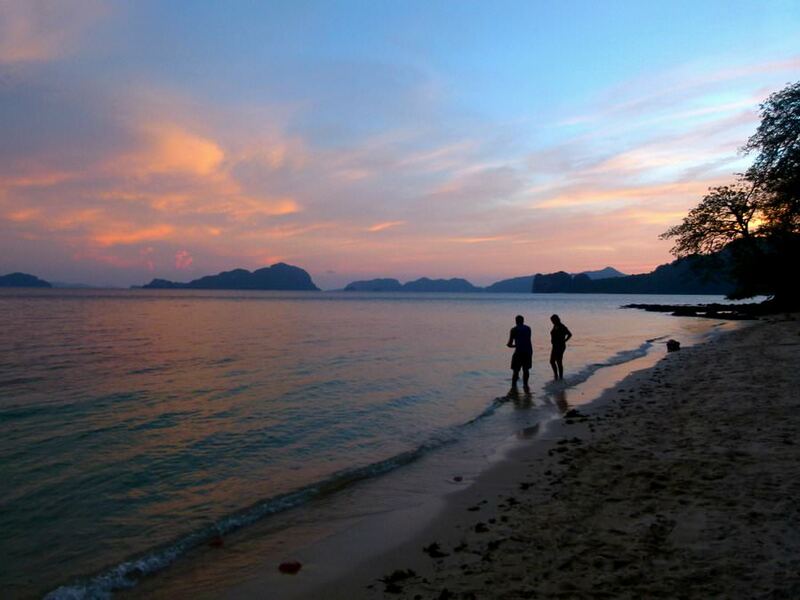 El Nido and Coron are now well-known and packed with tourists but the best beaches (yup! Even better than El Nido and Coron!) are far off the southernmost part of Palawan. Balabac, Palawan have lots of beautiful islands which are mostly inhabited. The most famous of which is probably Onuk island. Travel is quite tough though. Land travel for 5hrs from Puerto Princesa then 3-5 hrs by boat. But i assure you, it is worth it!!! We need to go back to the Philippines!! Well done finding all these places. I have been to Asia several times and when I go there I am always trying to find less crowded places in order to experience a complete change of scene! I am actually working for an events company in New York so that is why I like visiting unexpected places when I am on vacation. My company lists many events related to trips and travel so I am always inspired when it comes to finding new places to visit. The beach in Philippines from your post seems amazing, must go there. You guys suggest any spots in vietnam ? How I dream to be in that boat in Inle Lake! Great post! 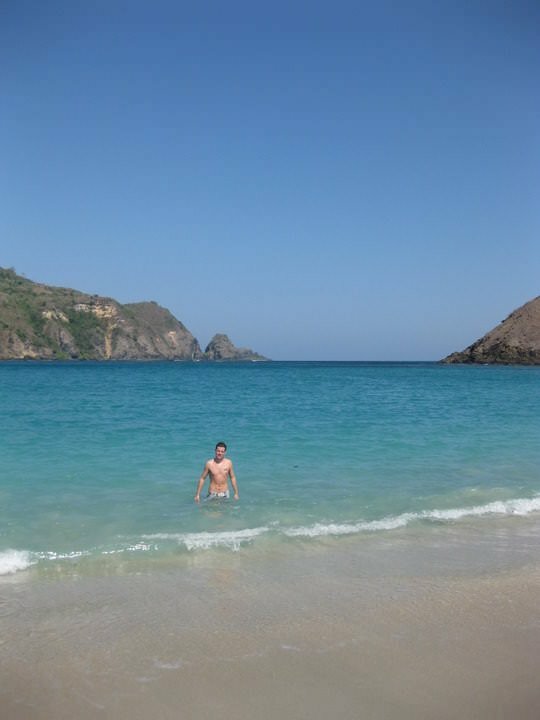 I really love Lombok Island and always wanna go there. I have a friend in Indonesia and he invites me to Lombok – his homeland, but I haven’t had the chance to travel there. Every time he posts any photos concerning Lombok, I completely falls in love with that island. Pingback: ตะลึงอาเซียน! 10 สถานที่เที่ยวสุด Exotic ดีที่สุด ในเอเชียตะวันออกเฉียงใต้!